1. The Government of the United Republic of Tanzania through the President's Office Regional Adminstration and Local Government has set aside funds towards the cost of Supply of Medicines and Medical Suppliesand it intends to apply part of the proceeds of these funds to cover the eligible payments under framework contract for Supply of Medicines and Medical Supplies for Public Health Facilities. 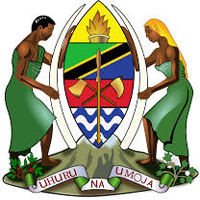 TheGovernment through Regional Secretariats of Arusha, Dar es Salaam, Geita, Iringa, Kagera, Katavi, Kigoma, Kilimanjaro, Lindi, Manyara,Mara, Mbeya, Mtwara, Mwanza, Njombe, Pwani, Rukwa, Ruvuma,Simiyu, Singida, Songwe, Tangaand Tabora has intended to pre-qualify Applicants for Supply of Medicines and Medical Supplies. It isexpected that the invitations for tender will be made in June, 2018. 2. Pre-qualification will be conducted through the procedures specified in Regulation 119 of the Public Procurement Regulations(Government Notice 446) of 2013 and is open to all Applicants as defined in the Regulations.Applicants can bid for not more than five (5) Regions. 3. Interested Applicants may obtain further information from and inspect the pre-qualification documents at the Regional Offices countrywide except for Morogoro, Dodoma and Shinyanga Regionsfrom 8:30 am to 3:30 pm from Monday to Friday except on public holidays. 4. A complete set of pre-qualification documents in English may be purchased by interested Applicants on the submission of a writtenapplication to the addresses of respective Regional Administration Offices indicated in Paragraph 1 and upon payment of a non-refundable fee of Tshs 150,000.00. Payment should either be by Cash or Banker'sCheque, payable to Regional Administration Secretary. 5. All applications one original hardcopy plus three (3) hardcopies and one (1) electronic copy properly filled in and enclosed in plain envelopes must be delivered to the respective Secretary, Regional Tender Board at or before 10:00 am date of 10th May 2018. Applications will be opened promptly thereafter in public and in the presence of Applicants' representatives who will choose to attend in the opening at the RegionalAdministration Secretary's Office in respective Regions. 6. Late applications, portion of applications, electronic applications, applications not received, applications not opened and not read out in public at thetender opening ceremony shall not be accepted for evaluation irrespective of the circumstances. Habari za mchana nimesoma hii tenda ya kusambaza dawa nataka kujua naipata VP?